to the nonprofit of your choice. YES, down payment assistance exists and you may qualify! Down payment assistance works well for home-buyers who qualify to make their mortgage payments and have good credit, but need help making a down payment. Qualified buyers can purchase a home for as little as 5% down, often utilizing down payment assistance grants. The down payment assistance currently available through the Colorado Housing and Finance Authority (CHFA) and Metro Mortgage Assistance does not require that you pay this money back. Would you like an opportunity to make even MORE of a positive impact when buying your home? 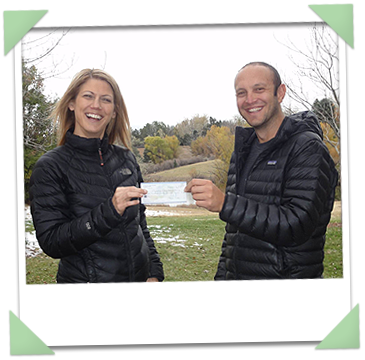 Jacalyn Gallegos of Hallmark Mortgage – OTUBNS , pledges to donate an additional $500 to your favorite nonprofit when you choose to work with the Conscious Real Estate and Hallmark partnership, making your impact even GREATER with your next home purchase! OTUBNS stands for “On Time, Under Budget, No Surprises,” which is exactly what we have always experienced when Jacalyn has serviced our clients’ loans, along with providing our clients with fantastic customer service, client education, and excellent communication. Furthermore, she has always been a woman of our own heart, committed to numerous community efforts, including serving on the boards of Habitat for Humanity and Cocktails for a Cause. We want you to have the best, while maximizing the benefit to the community, so we are thrilled to partner with Jacalyn!